The SKA Project is not only the largest and most powerful radio telescope ever contemplated, it is also the largest IT Project yet undertaken. The computing requirements of the Project are extremely demanding and many new computer/computing technologies will need to be developed, plus many existing technologies will need to be stretched, in order for the telescope to be delivered and operated. These technological developments constitute multiple, significant opportunities to create positive economic impact. The SKA is a good source of defined needs which, over the coming years, will be shared by many industries across the World. For companies potentially involved in supplying the systems and technologies the telescope needs, by joining in the work and helping to develop the necessary technologies, they will be helping to create new offerings that will be of use and value to many other applications and markets. For those companies now trying to factor the swing to Cloud computing and e-infrastructure into their business planning for the coming years and decades, this is an opportunity to join in the Project and have their needs worked into the project and so ensure the delivered outputs help them in their everyday businesses. This talk will focus on examples of possible opportunities for both supply companies and potential new user communities to leverage the SKA project and its outputs to their own commercial advantage. John has recently moved to Auckland, New Zealand to take up the above roles, concentrating on developing collaborations and partnerships with academic and commercial organisations across the Asia-Pacific region to help deliver world class research, development, innovation and economic impact. 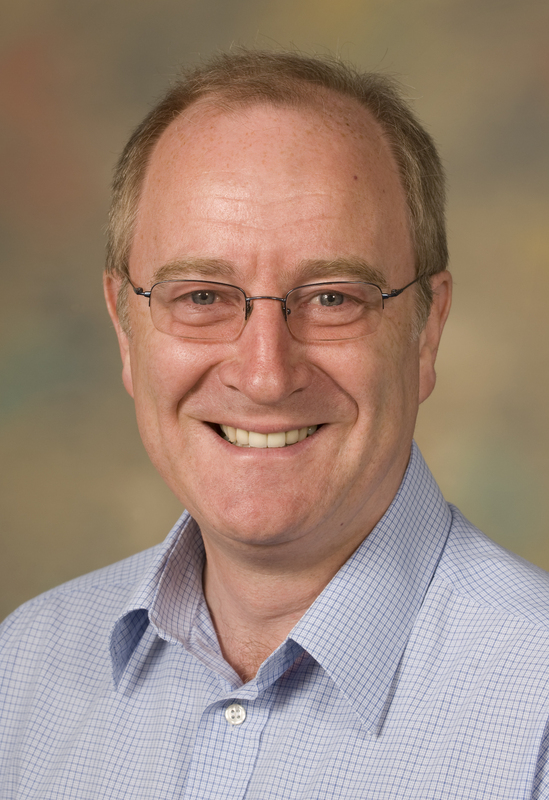 John was formerly the first Director of the Hartree Centre and Head of Campus Centres at STFC. Since 2011 John has helped to secure ~£70M of capital investment from the UK Government into STFC; including £2.5M into accelerator science at the SciTech Daresbury Campus and £56.5M for platforms for software development and studies into energy efficient computing within the Hartree Centre, £11M for the development of platforms for the SKA project and £8M of recurrent funding from STFC itself. As Director of the Hartree Centre John was responsible for developing its ownership, governance and business models and ensuring it achieves its goal to become a major component in the UK’s e-infrastructure, concentrating on the development and demonstration of energy efficient new software and hardware combinations to enable the full exploitation of the UK’s e-infrastructure by UK industry, academia and society in general, and so generate positive economic impact. John graduated as a chemist from UMIST, is a Fellow of the UK Institute of Sales and Marketing Management, is Visiting Professor of Science and Innovation at the University of Huddersfield, is a founder member of the UK E-infrastructure Leadership Council (ELC), is a member of the ARCHIE-WeST Supercomputing Centre International Advisory Panel and is a member of the N8 HPC Advisory Board. During his thirty five year career John has spent many years, including a period in the USA, working in technical sales and marketing roles covering precious metals and high purity materials. John then spent the next decade working in import and export sales and marketing roles covering analytical instrumentation and systems and novel polymer technology. For the last eighteen years John has worked in technology transfer, business development and IP/R exploitation roles. John has experience in exporting to Europe, North America, India and Asia-Pacific and in a great variety of roles across many industries and technologies.